Pier House, Self Catering Elgol. Large Holiday Home for Group Accommodation. 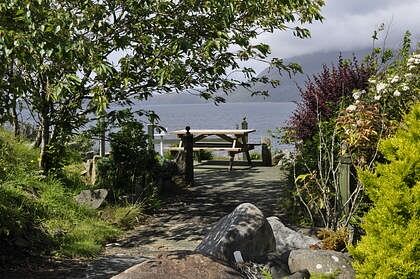 Property Address: Pier House, Elgol, Isle of Skye. Situated directly above Elgol Pier looking across Loch Scavaig into the heart of the Cuillin mountain range the Pier House and Pier House Apartment are family owned self-catering accommodation. 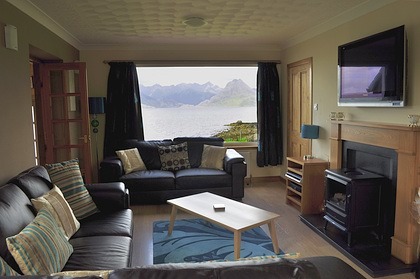 If you are looking for family friendly, large group accommodation set in a breathtaking location with magnificent views then the Pier House at Elgol is the place for you. The Pier house offers comfortable accommodation for 8 persons and another 2 persons can be accommodated in the Pier House Apartment which adjoins the main house. The Pier house and Pier House Apartment can be booked separately or as one unit. 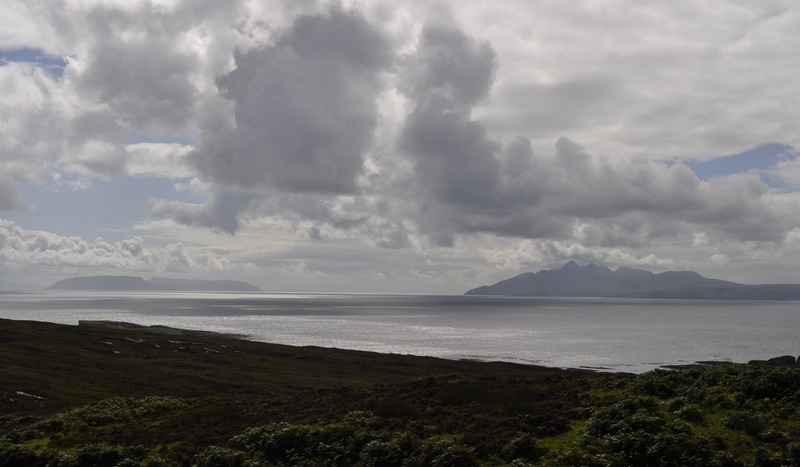 Elgol is an ideal base for a holiday and offers unparalleled access to the famous Cuillin mountains for climbers, hillwalking for all levels and bird and wildlife watching. Take a trip on one of the tourist boats which run from Elgol to Loch Coruisk or to one of the small isles of Canna, Rhum, Eigg or Soay. Elgol is also a magnificent area for photographers with beautiful scenery and ever changing light, Joe Cornish's "Cloud on the Cuillin" Elgol was taken just a short walk from the Pier House. If you want an 'away from it all' holiday just to relax and chill out then Elgol is the ideal place. We now have Wi-Fi in the main house. There is also a land line but there is no mobile signal. Regrettably pets are not permitted. A no smoking policy is operated in all properties. 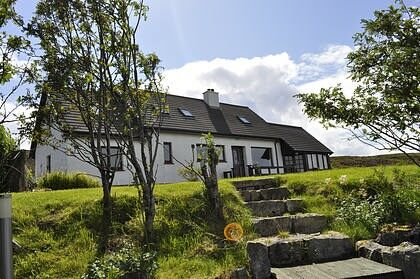 We also have available Shore Cottage which sleeps 4 in one double and one twin bedroom. This is adjacent to The Pier House. Please view some of our guestbook entries for Pier House and for the apartment. There is a video below of Pier House. You can view it in full screen mode by clicking on the rectangle symbol on the right of the video control bar. You can press the ESC key on your keyboard at any time to return to the website. Design © Alasdair Broun. Content © Joanie MacKinnon. Apartment Photographs © Joanie MacKinnon. Large sunsets © Damon Hoggett. Most Other Photographs © Sarah Broun Photography.